These herding and guard dogs have an incredible drive to work. Canaan Dogs are an ancient breed of medium-sized dogs from Israel. They have wedge-shaped heads and cat-like feet with hard paw pads. The eyes are dark and almond-shaped, and their low-set ears are tapered and arched slightly forward. The double coat features a harsh and flat outer coat of medium length. The undercoat is short and soft, and its thickness depends on the climate. Coat colors and markings include black, cream, golden, liver, red, tan and white. Canaan Dogs originated in the Land of Canaan in Israel during biblical times from pariah dogs. This national breed of Israel was depicted on tombs dated between 2200 and 2000 BC. The dogs herded and protected livestock. They also guarded camps and settlements. When the Israeli population decreased 2,000 years ago because of the Romans, the number of Canaan Dogs decreased as well. The dogs survived in the Negev desert with other wildlife. When the 1948 Arab–Israeli War was imminent, the Jewish self-defense organization (Haganah, later renamed Israel Defense Forces) asked Dr. Rudolphina Menzel to choose and train dogs to provide services to the troops. Because the Canaan Dogs had survived for so long under harsh and desolate conditions, she considered them to be the best breed for the job. 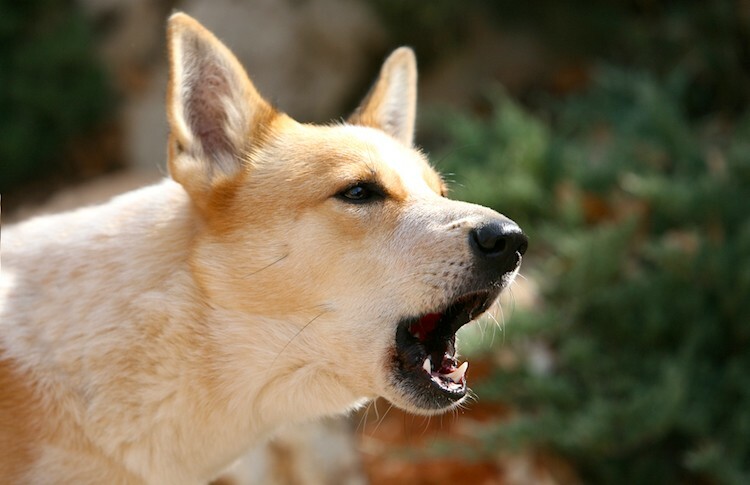 Canaan Dogs served as messengers, helpers, sentry dogs and land mine detectors. They were called to service again during World War II. Dr. Menzel trained more than 400 Canaan Dogs to detect land mines, and their accuracy far surpassed mechanical detectors. Dr. Menzel later founded The Institute for Orientation and Mobility of the Blind in 1949. She bred and trained Canaan Dogs at the institute under the kennel name B’Nei Habitachon. The Palestine Kennel Club was the first organization to recognize the breed. In 1965, Ursula Berkowitz imported 4 Canaans into California and formed the Canaan Dog Club of America. The breed was added to the American Kennel Club (AKC) records in 1989 in the Miscellaneous Class and received full recognition in the Herding Group in 1997. Canaan Dogs are loyal, independent and naturally protective. 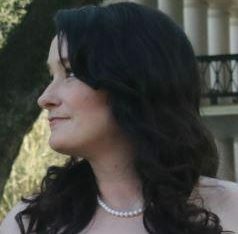 They enjoy spending time with family members and being outdoors. They should be socialized at an early age because they are wary of strangers. Vary training using positive reinforcement methods. These intelligent dogs become bored with repetition and don’t respond well to harsh discipline. With training and socialization, they are great with children and other animals. Without training, they may bark excessively and show aggression with other animals. HIGH: These herding and guard dogs have an incredible drive to work, and they will suffer without mental and physical exercise. Expect to walk or jog with your Canaan Dog twice a day. Practice training and provide an outlet for their energy whenever possible. Apartment life is OK if you can provide opportunities for exercise. Canaan Dogs can live outdoors, thanks to their protective undercoat, and they do best with a yard. Even as outdoor dogs, they need training, exercise and daily interaction. LOW: The coat is easy to maintain with weekly brushing. Shedding is seasonal and may be heavy twice a year. You’ll also need to keep up with regular maintenance, such as nail trimming and cleaning the ears and teeth. 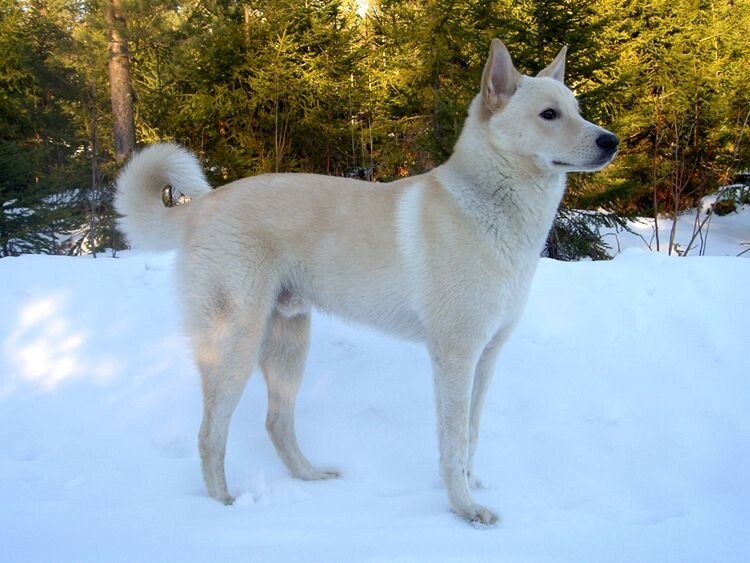 LOW: Canaan Dogs may experience hip dysplasia. Otherwise, they’re quite healthy overall. We found 25 Canaan Dogs and mixed breeds within our local area, some of whom were purebred. If you contact breeders, make sure they are raising their dogs responsibly and can provide health clearances on the hips, elbows, eyes and thyroid. These tests ensure that the dogs are healthy and are not passing on genetic abnormalities or diseases to their offspring. A responsible breeder will have these results readily available and would be happy to share them.